Happy Wednesday, Friends! 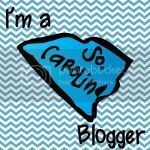 It's time to showcase another Budding Blogger! 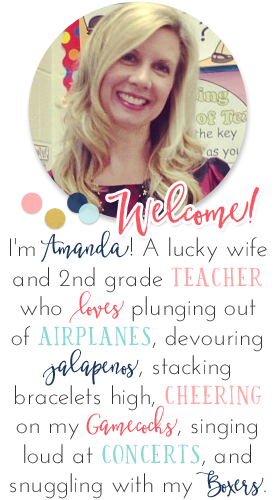 Please keep reading to find out more about this super-talented 2nd grade teacher...and follow her blog! I was raised in Barto, Pennsylvania - a small farm town that is about an hour outside of Philadelphia. My husband and I recently bought a house in Barto and our home is literally 50 yards away from my parents house. It is seriously like the show Everybody Loves Raymond...my parents are always coming over for no reason at all (but I really do love it). My husband and I just tied the knot this June, but we've been together for three years. 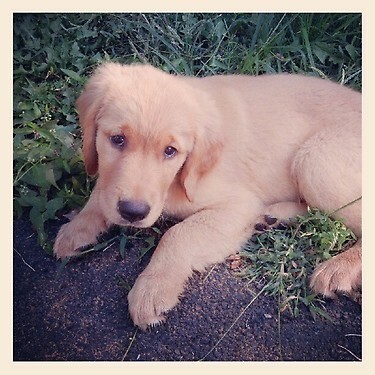 We don't have any kids yet, but we do have a puppy named Cooper! He takes up a lot of my spare time while I train him, but luckily he can do a lot of the things I really like to do like running, swimming, and hiking. I also love to read, do crafts (always for my classroom), and paint. 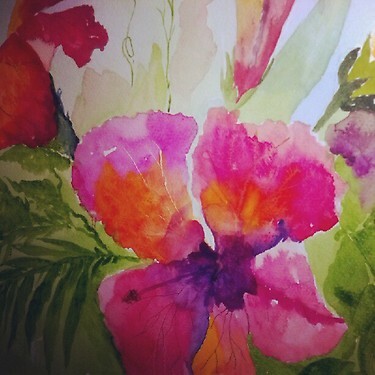 Here is one of my paintings I did in watercolor. Lastly, I love spending time with my family...probably why I moved down the street from them! I value family time so much and I try to do as much as I can to help them. Even if they do drive me crazy sometimes. I teach second grade in Coatesville, Pennsylvania. I was thrilled when I got my job right out of college and even more thrilled when they told me I got the position for second grade. I love second grade soooo much! I've been teaching 2nd grade for two years and while in college I student taught first grade. Even though I'm a young teacher, teaching is my LIFE. I think about it all the time and devote a lot of my spare time to it. I love teaching reading. It has always been my personal interest so I find it much easier to teach, since it comes naturally to me. I am hoping to return back to college in the next year so that I can get my graduates degree as a reading specialist. My dream job would to be a reading specialist for primary grades. You would hopefully see my classroom management skills at their best - which would be my kids listening and actively participating in a lesson. This would hopefully be happening because I have an amazing, out of this world lesson that my kids love, but let's be honest...not every lesson is that amazing. So sometimes I make good listening happen because I give out brain sparkles to my best thinkers. Or I give out smellies - rub on scents for the back of their hands (I have 20 different smelly flavors) Or I give out fuzzy peaches (little fuzzy balls that fill up a jar for a class prize) Or you may see me singing. I sing a lottttt! I may not be the best singer in the world, but I have a song for almost every thing we do in the room. Pepsi, haha. I really try to avoid caffeine as much as I can and therefore it makes it much more effective when I do have some. So on a really stressful day I get a Pepsi out of the vending machine. When that doesn't work I read some blogs that are motivating during my prep time or at the end of the day when the kids are gone. Those blogs usually remind me why I'm a teacher and that I am doing a good job, even it doesn't always feel like it. I can't live without my book: Positive Discipline. I work in a low-income, inner city school, which means that we have many troubled kiddos. It breaks my heart everyday to learn about some of the problems that my kids have, but it makes me a much better teacher. I really focus on positive positive positive, because they need it more than you can imagine. That book has saved me a lot in the past two years of teaching in the inner city. I encourage hands on learning and try to show my students how to question things and think outside of the box. During science and math I have them use a lot of hands on materials, because I think it helps them understand concepts better. In language arts I try to have the kids make a lot of connections between subjects, stories, and their own life. Many times I read books that relate to something in their lives, then I have them do a correlating writing activity or art activity that brings the story full circle. First, I really want to post as much as I can about the things that I do in my classroom. Second, I want to make as many freebies as I have time for, because that is why I got into teacher blogs in the first place. Lastly, I would love to get more followers. I would be so excited to reach a follower monument so I could do a giveaway raffle! Again, please come visit my blog. It makes my day when somebody follows me or leaves me a comment! Thanks for reading!!! 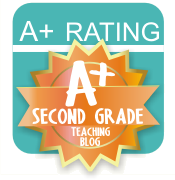 YAY for another second grade blog :) On my way to visit Kelly.